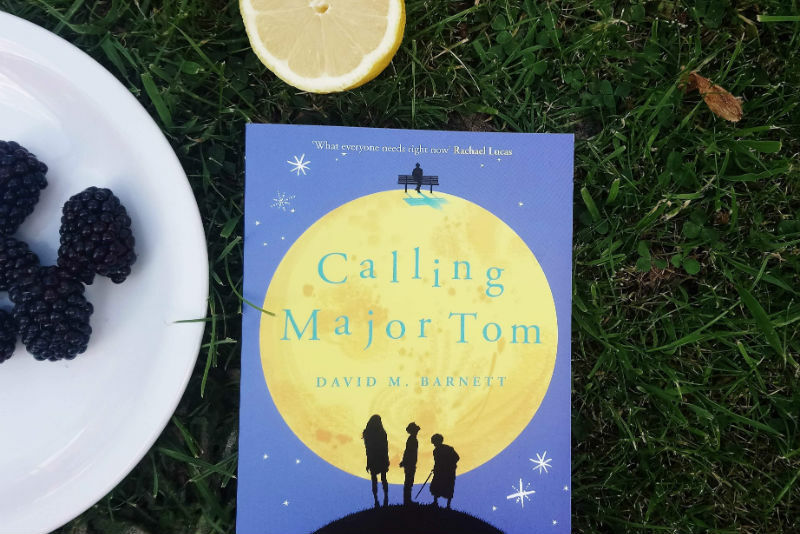 David M Barnett is the author of CALLING MAJOR TOM and THE GROWING PAINS OF JENNIFER EBERT, AGED 19 GOING ON 91. 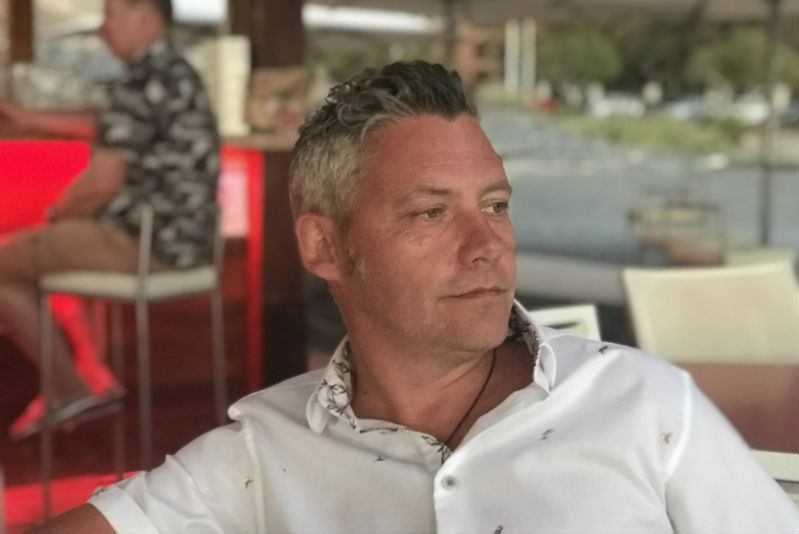 In May, The Motherload® Book Club took Major Tom to their hearts and David was kind enough to answer some of the group’s questions. David: First of all, I’d like to say thank you so much for all the wonderful things people said about Calling Major Tom on the Facebook discussion on Monday. I was going to take a look in as it was happening but I was watching Love Island. No, seriously! I’ve never seen it before and I had to watch it with my teenage daughter to write a piece for the Independent. Also, I was a bit nervous about tuning in “live”… what if you all hated it? As Uncle Monty says in Withnail & I, I would have had to slink away… “Perhaps it is appropriate justice for the eavesdropper, that he should leave as his trade determines, in secrecy and in the dead of night…” As it turned out, though, when I read later on Monday night, I needn’t have worried, and I’m so pleased so many of you enjoyed it. OK, on with the questions! Was the book intended to be a Bowie tribute or do you see Bowie as more of a theme? David: Not so much a tribute, although I – like pretty much most people – was a huge fan of Bowie. It was more that his presence would haunt the book, mostly in the background. Bowie’s death provides one of the key breaking points for Thomas… it’s pretty much the straw that breaks the camel’s back for him, the pulling of the plug that lets a lifetime of disappointment and broken dreams come flooding out. But obviously, the space theme and the idea of Thomas being all alone up there dovetailed in all very nicely. In fact, it was Bowie’s death that really crystallised the novel for me. A couple of weeks earlier, the astronaut Tim Peake had made a wrong number phone call from the International Space Station on Christmas Day 2015, which I’d kind of filed away under “that would make a fun thing to put in a book some day”. Then – like Thomas – I woke up on my 46th birthday to hear the news about Bowie, and the two things sort of crashed together in my head. David: It was one of those weird things where as soon as I got the idea I knew exactly how it started, exactly how it ended, and a lot of stuff in the middle. Writing a book like this is a bit like having a ball of wool where you’ve teased the two ends out. You’ve got one end – the beginning – between the fingers of one hand and the other end of the wool – the conclusion – in the fingers of the other hand. In the middle is a big, tangled mess of wool which you have to straighten out until you’ve got a recognisable thread from one end to the other. So a lot of stuff in the middle, the tangled mess, evolved during the writing, especially as the characters found their voices and clamoured for more time. An example of that is Delil… at first he was in literally one scene, just to provide Ellie someone to talk to, but he wouldn’t go away and kept demanding to come back in the story, and by the end he was one of my favourite characters to write. Will there ever be a follow-up book? We want to know what happens next! David: With a book like this, the intention is to leave it as it is, to have the story just be what it is. But I must confess that I do have moments thinking about Thomas, and what he finds on Mars. In fact, as I write this, they’ve just discovered organic matter on Mars. Could that be a follow-up thread for another book? And in the end, we have James promising to go and meet him on Mars eventually. I do think about that a lot. Maybe 20 years down the line (in the book’s timeline), what would happen if James did in fact get to Mars? Maybe if there’s enough demand, I’ll get to write that story. And, of course, Calling Major Tom has been optioned for a movie, so if that ever gets made there might be a good opportunity to continue the story. Was Major Tom intended to be reminiscent of A Christmas Carol? David: Tom’s definitely got that Scrooge character arc, hasn’t he? It wasn’t completely uppermost in my mind when writing, but it’s an obvious comparison. Actually, I probably had the movie It’s A Wonderful Life more to the fore of my mind, where George Bailey thinks he’s nothing to offer the world and tries to commit suicide, but the trainee angel Clarence saves him and shows him what life would have been like without him. In a way, Thomas is in the same position, and has to confront events from his past life to tackle his state of mind in the present. Did you ever consider bringing Major Tom back home? David: As a reader as well as a writer, I did want to bring Thomas back home! That would have been a proper happy ending. But I knew I couldn’t. I felt a bit bad for him, to be honest, showing him that life wasn’t as bad as he’d always thought, but then making the realisation too late to do anything about it. But I had to stand firm! What are your own favourite books? David: Oh, they change all the time! I have a few nailed-on classic favourite books… I’m a big fan of the Beat author Jack Kerouac, I love Shirley Jackson (if you haven’t read We Have Always Lived in the Castle do it now!) and the weird fiction author Robert Aickman, I adore Haruki Murakami. But the best recent novels I’ve read are Sarah Pinborough’s CROSS HER HEART, Jack Grimwood’s Cold War thriller NIGHTFALL BERLIN, Cass Hunter’s THE AFTER WIFE. So many good books out at the moment! David: It’s a funny old thing, the new novel. It’s out now on ebook and in paperback on November 15. It’s called THE GROWING PAINS OF JENNIFER EBERT, AGED 19 GOING ON 91, which is a bit of a mouthful! I say it’s a funny thing, because when it was released in ebook recently it had a different title! But the marketing department at Orion have decided they want to give it a new cover and a new title. It’s still the same story inside, which I think will appeal to anyone who’s enjoyed Calling Major Tom. It’s about a quirky old folks’ home on the Lancashire coast which, as a bit of a social experiment and to get in some grant money, lets empty rooms to students from a nearby university. The old folks and the young clash a bit, but start to bond over the old films that one student, Jenny, is studying for her course. Then there are problems as the rest home is in dire financial trouble, and a bit of a mystery going on that’s resolved quite spectacularly at the end. Added to that, I’ve just signed up for two more books with Trapeze/Orion, and am working on the first now, which is set in the mid-1990s. Thank you so much for all your interest, wonderful comments, and for having me here to yak on at you like this! You can join The Motherload® Book Club here. There’s still loads of time to join in the June read-along too – full details here!